Born in York, PA, Patti enjoyed ice skating and playing in the snow. She then moved on to Junior High in Los Angeles and High School in Texas. Patti’s artistic side allowed her to graduate from UT Austin in three years with a double major in Painting and Drawing and Art History and an M.A. in Public School Administration at Chapman College in Orange County after attending art school at Long Beach State. Patti’s purpose in life is to connect people. This was fulfilled throughout her 20s and early 30s through teaching Jr. high, Sr. High, College, and University as an Art Teacher. She helped students connect with themselves through the world of Art. They connected with history, their world and community. Getting into a California lifestyle, she competed in 100-mile off-road motorcycle races in District 37 where she collected some trophies, tried a Gran Prix and did lots of Motocross Riding. While teaching at Grossmont College in San Diego, Pattie began surfing and tournament racquetball. Finally landing in Santa Cruz in 1977, Patti opened Patricia Designs Custom Jewelry in Capitola where her one-of-a-kind pieces were displayed at the Aaron Faber Gallery and the Byzantine Gallery in New York City. Again her purpose to connect people was accomplished as a jewelry designer throughout the 1980s with Patricia Designs in Capitola. Patti created custom designs by appointment only. Both men and women felt very special wearing their one-of-a-kind pieces created especially for them. She completed 2500+ unique pieces of jewelry. Throughout her days creating jewelry, she continued her surfing, racquetball, began flying airplanes (Piper Warrior), and added salmon fishing to her repertoire. In 1988, introduced to real estate by friend Bill Brooks, Patti began her fun and adventurous career where she has enjoyed selling, developing, and designing in California and Roatan, Honduras in the Caribbean. She stays in tune on the world real estate market by extensive travel and keeping in touch with friends in various countries. Real Estate has brought Patti into the highest fulfillment in her purpose to connect people with their dreams – through really observing their styles and helping them see a completed project or home with its aesthetic improvements. Patti’s highest purpose expressed itself and proved fruitful by manifesting over 1250 sales in the past 25+years. 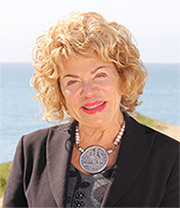 She has sold a broad range of properties in Santa Cruz County. These include lots, subdivisions, new homes, commercial properties, commercial leases, income apartment properties, as well as homes and townhomes. Her experience also includes both residential and commercial land planning and development, investment properties in Honduras and Belize, and performing as the agent for a Senior Care Development Company. Patti has lived in the County for 35 years and has been the #1 selling ADR agent for the past 25 years. ADR (American Dream Realty) is the largest real estate office is Santa Cruz County. Patti lives, works, and plays at Pleasure Point, Encinitas, and Roatan, where she enjoys scuba, yoga, fishing, dance, surfing, fine wine, SUP cooking, and beach walks. She has been giving back to the community through active investment in Santa Cruz Sunrise Rotary, Second Harvest Food Bank, Action Pajaro Valley, High School mentoring, Kuumbwa Jazz Center, and the Capitola-Soquel Chamber as a past Board of Trustee member. Patti is well connected and has a long standing in the community which has enabled her to create and use an extensive vendor list comprising land-use consultants, various contractors, architects, attorneys, rental services, arborists, landscapers, senior services, babysitters, temporary storage rentals, and more. These businesses and individuals in effect are a part of the Patti Boe Team, ready to solve any issues that arise as a transaction proceeds. You can confidently expect your deal to come together just as you want it to. Patti Boe & her Team sold 1250+ properties totaling over 300 million since 1988.